I live a first world life, in a third world country. I have running water in my house, wireless internet that usually works, a purple yoga mat and a scooter. Inside my refrigerator you’ll find honey mustard and BBQ sauce, and on my kitchen counter sits an automatic coffee maker with adorable Anthropologie towels hanging above it. These are very first world things. Walk 30 yards outside the gate and you’ll see my neighbors’ surroundings: make-shift homes out of cement block, corrugated sheet metal and plastic lamina. Billowing smoke rises up from their wood burning stoves and brooms sweep away the dust on their dirt floors. These are third world things. And some how the two collide here. Side by side. My neighbor’s son plays on the grass in front of our house as she waters her lawn. Less than 20 minutes away where I teach, the families and schools do not have running water because the city government won’t pay to buy a new pump for well water. On one corner of the street there is an internet cafe. Directly across a man hunches over to readjust the firewood stacked up on his back. Checking facebook status’ and recent youtube videos on one side, and carrying fuel for tonight’s meal on the other. I walk past the park on my way to buy bread in the panaderia. Junior high age girls sit perched on the benches giggling, sending text messages and watching the boys leave school. An older women with grey hair and round hips balances a basket of fruit on her head, keeping one had in her apron holding onto her days’ earnings and another tightly wrapped around the tiny wrist of little one. They wait for the busy to head home. How does Guatemala have one of the world’s Nobel Prizes in Literature, but yet still have one of the high rates of illiteracy in Central America? A Guatemalan woman was awarded The Nobel Peace Prize in 1992, and yet there are now more killings each day than there were during the civil war. Why? How come Guatemala’s Mayan ancestors were some of the most ingenuitive and wise people of their day, but the majority of the research on these people and their kingdoms has been written in English? Which means most Guatemalan kids do not learn about their own Mayan heritage in the schools. How come some Guatemalans travel to Europe to shop and have weekend houses at the lake, but there are millions more who spend 14 hours plowing a field just to earn a $1.50 for their days work? A land of first world luxurious and third world poverty. I have to believe there is something the two can learn from each other. Some kind of reciprocal sharing that can take place. I have to believe this because I live here, between these two worlds. I get to see it. and feel it. and smell it. and experience it. each. and. every. day. And I like that. I get to wrestle with what it means to live within this tension. And hopefully find ways to build relationships between these two worlds. 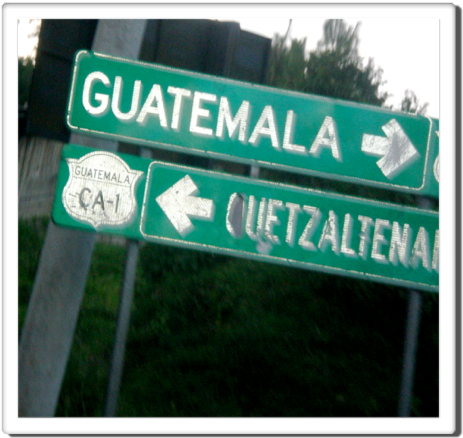 To see injustice in Guatemala and the world makes me mad, and then I hear your perspective and see the ways you´re connecting these two worlds and I have hope. And I fall more in love with you. Great post! It resonates so much, as I’ve lived in Guatemala City for the past 2 and 1/2 years. It comes at the perfect time, as I’m just starting a social justice unit with my middle school students at the colegio. Gracias! Very nice post, Michelle. Look forward to reading more. Thanks Helen! I hope so. Hey Dan! Thanks- nice to hear from you. We hope to see you guys again soon! Ravi, muchas gracias! How are you and Jane doing? Michelle, I LOVE that you’ve been posting so much lately! I really enjoy reading about your life and observations in Guatemala. It makes me want to go back SO BADLY. do i wanna be a part of it? thank you for your words michelle! i miss latin america.